Please applaud and support our Exhibitors and Sponsors! The Smithsonian including a recipe! Join us in New Orleans for the best scientific meeting of your summer! and other special lectures at the conference. Dr. Pam Diggle - "Learned Societies" - Past, Present, and Future? Dr. Muriel Poston - Cultivating the Next Generation of Plant Biologists. The annual Botany Conference is a multiple scientific society conference serving over 6000 plant scientists whose research and practice span the globe. The conference hosts the most diverse group of practicing plant scientists and students in the country. Over 1000 academic and industry participants convene each year to share research and explore topics that focus on highly diverse, recent discoveries in the plant sciences. Keynote speakers, academic and industry researchers present papers, offer workshops and posters on recent developments for a highly broad range of plant science topics. 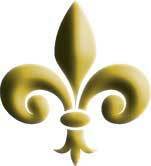 Botany 2013 Planning Committee visits New Orleans - Make your plans - NOW!.